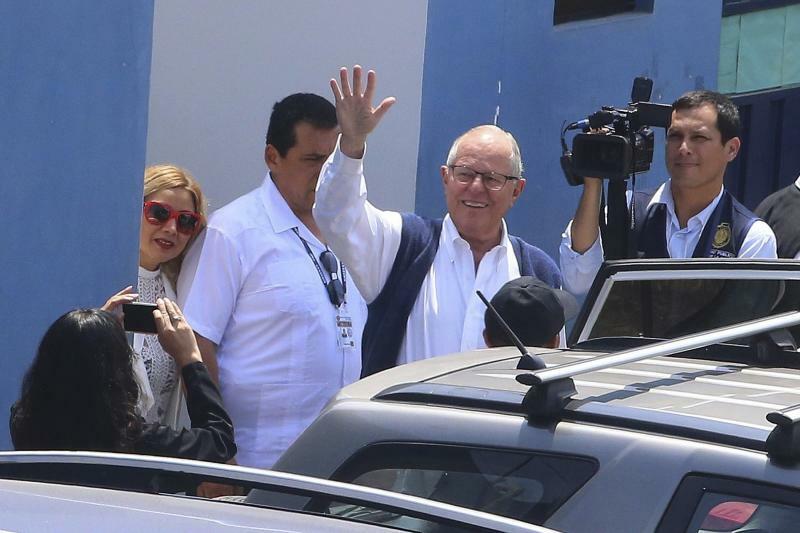 LIMA, Peru (AP) — A Peruvian judge on Wednesday ordered the 10-day detention of former President Pedro Pablo Kuczynski as part of a money laundering probe into his consulting work for the company at the heart of Latin America's biggest graft scandal. 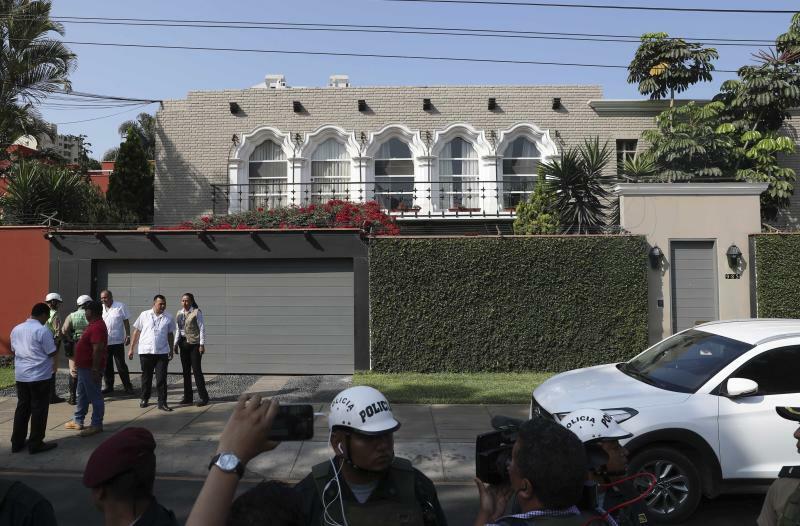 Special police agents gathered outside Kuczynski's neo-colonial mansion in Lima and later left with the former Wall Street banker in a white SUV. He was taken to a prosecutor's office, where he was expected to be examined by a doctor before being placed in detention. "This is a very difficult moment for me," Kuczynski wrote on Twitter. "But I will confront it with fortitude of someone who has only dreamed of a better country." The 80-year-old ex-head of state resigned last year after opposition lawmakers seeking his impeachment revealed that his private consulting firm had received some $782,000 in previously undisclosed payments from Brazilian construction giant Odebrecht more than a decade ago. Prosecutor Jose Domingo Perez, whose anti-corruption crusade has rallied Peruvians accustomed to seeing their leaders go unpunished for financial crimes, said some of the payments were made when Kuczynski was serving as a Cabinet minister and overseeing Odebrecht's construction of a highway connecting Peru to Brazil. Peru has gone farther than any other nation outside Brazil in prosecuting politicians for their ties to Odebrecht, which admitted in a plea agreement with the U.S. Justice Department to doling out almost $800 million in bribes for business throughout Latin America. All three of Kuczynski's predecessors who have governed Peru since 2001 have also been charged or are under investigation as part of the ongoing probe. 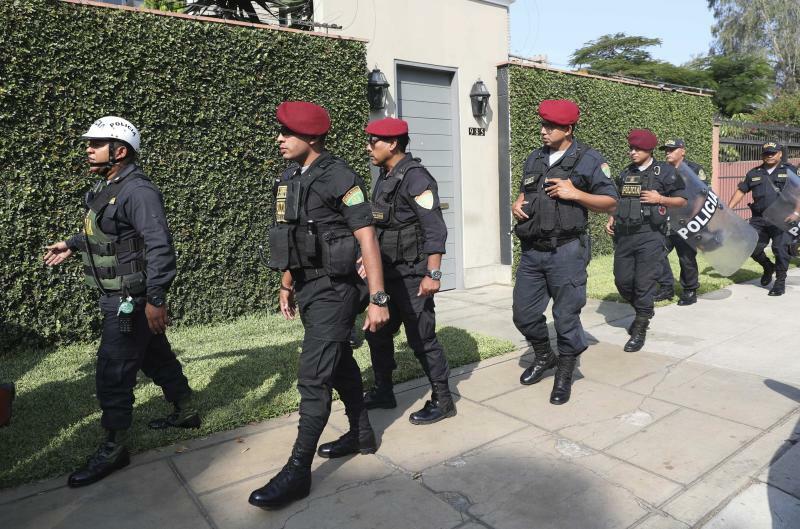 Vice President Mercedes Aráoz, an ally of Kuczynski, said the arrest order was unnecessary because the former president had been cooperating with investigators. In a brief interview with Colombia's W Radio before his detention, Kuzcynski said he is innocent and being subject to "a persecution." "I have complied with everything," he said. "I have to hang up because people are at the door." A judge also ordered the detention of Kuczynski's driver and a secretary.